1. Gutter patrol. The rains of spring and heat of summer can often lead to gutter packed with soggy or sun-baked debris. 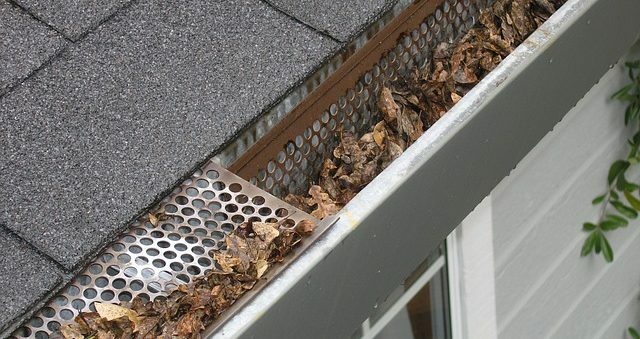 Clean out your gutters to make way for the leaves of fall. 2. Inspect your heating system. Before revving up the heat this fall, check your furnace and furnace filter to make sure nothing needs replacing or cleaning. 3. Check the roof. Have a professional inspect your roof for loose shingles, leaks and other wear and tear. 4. Window watch. Inspect the seals around your window to make sure no precious heat will escape during the cooler months. And while you’re at it, give them a scrub for some seasonal sparkle. 5. Clean your fireplace. If you have an indoor fireplace you plan to use this fall, give it a thorough cleaning, and make sure the chimney is not blocked. 6. Switch the drapes. To hold heat in, consider switching to heavier, darker drapes and window coverings during the cooler months. 7. Warm the decor. Switching your home’s accents to reflect the colors of the season is a nice way to transition from summer to fall. Switch those light blue or green throw pillows on the couch for warmer earth-tones, and follow suit with table cloths and bedding. For more tips on how to prepare your home for cooler temperatures, visit RISMedia’s Housecall.